Passed peacefully of natural causes in her sleep on April 2, 2019 at the age of 89. She is probably sneaking a cigarette with St. Peter at this very moment. Catherine was preceded in death by husband, Robert; children, Mary, Katy (Katherine) and Joseph; brothers, Charlie Brown and Doc Harry Brown. Survived by sons, Robert and Michael; three grandchildren, Bobby, Johnny and Hana; and a dozen or so nieces and nephews in the Brown family. Catherine had a hard but fulfilling life. As a child she helped her widowed mother and brothers run a grocery store during the Great Depression in South Minneapolis, delivering groceries to the infamous gangster, John Dillinger. She was Class President at Saint Margret’s Catholic Academy, was an Aquatennial Princess, and enjoyed an adventurous youth. She took a cargo ship to Europe, drove to Acapulco, and biked from Minneapolis to Wisconsin on weekend outings. 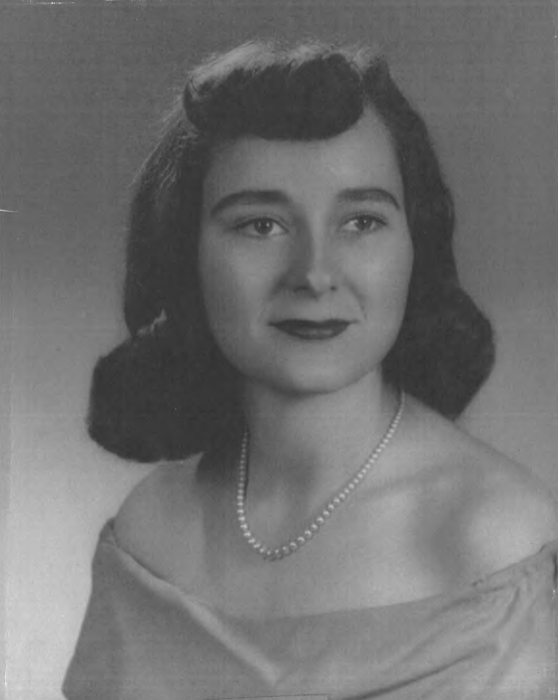 As a mother of two daughters with intellectual disabilities, Catherine persevered and thrived with patience and an abundance of love, becoming an advocate for the establishment of the first public school for those with intellectual disabilities in New Hope, Minnesota. Catherine displayed an abundance of creative talents. She taught and played the piano, was a published writer, painter (though she may have done the painting by numbers) and was an accomplished wall paperer. She even wall papered the refrigerator. A committed civic advocate, Catherine volunteered for multiple organizations and charities and was a member of the St. Joseph Church Counsel. Endowed with a gifted green thumb, each year she would create a garden in the backyard with a new theme. One year it was a Japanese Garden with tiny bridges and homemade streams; the next she would re-create New Orleans with trellises and flowers from the South. She never needed anyone’s help. She could fix a lawn mower, paint the exterior of the house, and repave the driveway entirely on her own. Once, with a fervent fear of heights, she even climbed up the roof to repair the chimney. Most of all, Catherine was an entertaining, charming, and humorous person to be around. Relatives, family, and even random strangers loved to hear her stories. She will be sorely missed by all who knew her. The funeral proceedings will take place on Tuesday April 9, 2019 at The Church of Saint Bartholomew, 630 Wayzata Blvd. East, Wayzata, Minnesota, 55391. Visitation will begin at 9:30, followed by Mass of Christian Burial at 10:30, with luncheon to follow. Interment Fort Snelling Cemetery for burial. In lieu of flowers Catherine preferred a gift to a memorial to the donor’s choice.